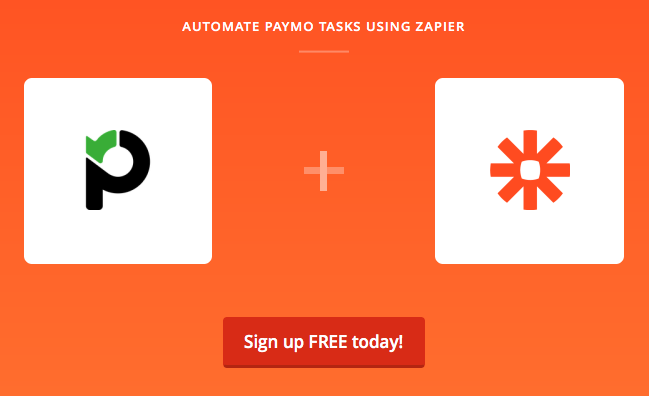 Through Zapier you’re able to integrate Paymo with over 1000 apps. Integrating Paymo with another app through Zapier means that any available Paymo triggers can be turned into an action in other apps. For example you can create an invoice in Paymo and set up a zapp that will create an invoice in Quickbooks online. You just need to have a Zapier account and create a zap and you can also select from a list of most recommended zaps.